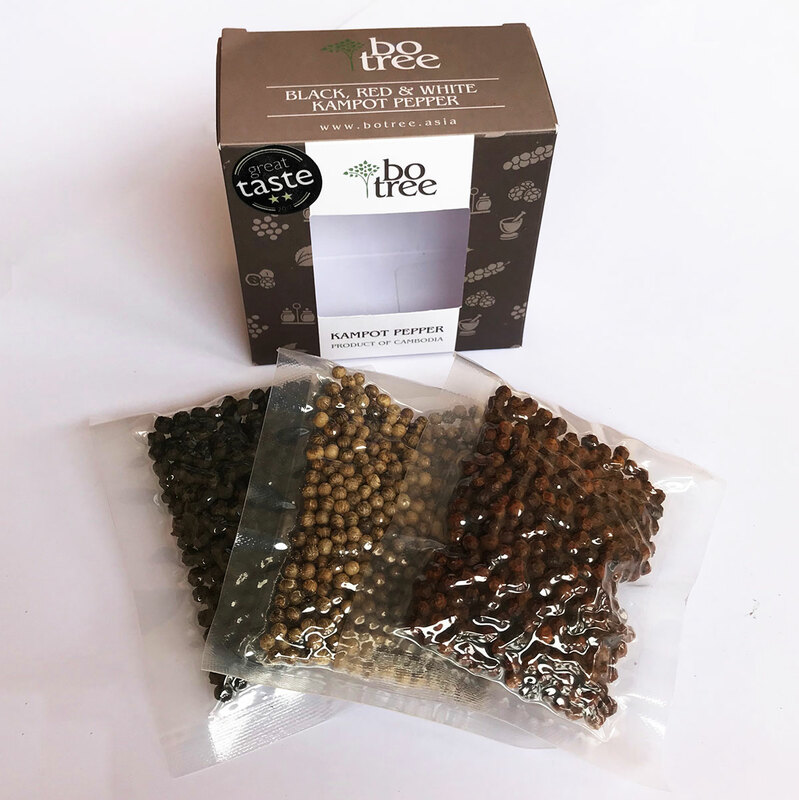 Categories: Black Kampot Pepper, Red Kampot Pepper, White Kampot Pepper, Gift Packs. 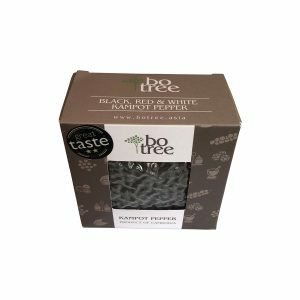 The perfect sampler, this 90g box contains 3 vacuum packed sachets of premium Kampot Pepper, one black, one red and one white. Ideal for experimenting with the three types of pepper and discovering which ones work work best for different foods. 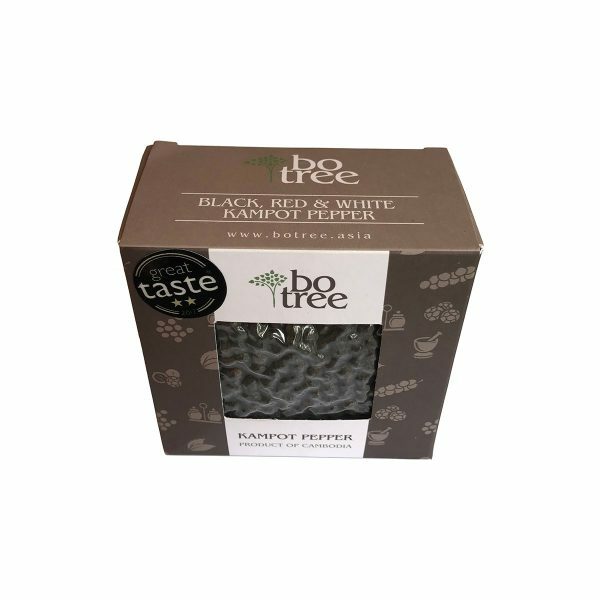 BoTree is a Kampot Pepper farm in the famous pepper producing province of Kampot, Cambodia. 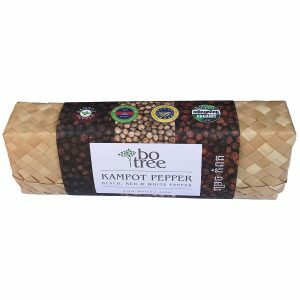 Our gourmet Kampot Pepper can be exported worldwide in retail or whole sale quantities. Email [email protected] for sales and ordering.